Over my years of working with the energy ley lines and sacred geometry of the Sierra Nevada mountains of California, I have learned that many “lakes” are not simply “lakes.” They contain and reflect much more than water, and in their depths, are often chambers, portals, and greater reservoirs of higher vibrational energy. In some ways, the lake landscape is a convenient hologram. Lake Titicaca is an eminent example of this type of powerful, multi-dimensional crystalline basin. The water of this lake provides a sort of shelter and protection for high vibrational energy sites and ley lines beneath the surface. Just as underwater locations are more difficult for us to visit and visualize in the physical third dimension, they are also less susceptible to damage and distortion. This energetic “preservation” was certainly the case for Lake Titicaca compared to the surrounding terrestrial landscape. 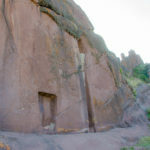 As I have written elsewhere on sacred sites of the Andes, many of the well-known local power places, such as Inca Tonohuire and Amaru Muru, have been severely disturbed and are a shadow of their former potency and multi-dimensional energies. In the weeks in Peru leading up to our arrival at Lake Titicaca, I was quite shocked at what I found at the terrestrial locations. Not only the physical ruins of past times, but also the vibrational ruins of many civilizations and ill-effects on Terra (Earth), echoes of disturbance following a higher vibrational past. Arrival at the Temple of Pachamama on Amantani Island in Lake Titicaca was a welcome respite and view into a water landscape of great power and resonant energies. Watching sunset on the summit Temple, my awareness resonated with a similar moment overlooking the Khumbu glacier in the valley near Everest Base Camp in Nepal. On that journey into the sacred valleys of the Himalaya, I witnessed a vast flow of multi-dimensional sacred geometry supporting the evolution of Earth and awakening Divine Feminine energy. Likewise, atop the Temple of Pachamama, I received a deep appreciation for the Andes as a wellspring of life and high vibrational futures for the planet. 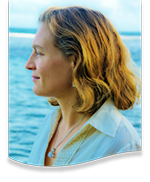 It was one of those most beautiful moments in my life, when I knew unequivocally — as when I visited the Himalaya and central deserts of Australia — that I was in the presence of a greatness of place, energy, and vision into a landscape of incomparable power. My observation is that the power of Lake Titicaca lies below its deep water, in a series of crystalline chambers which retain high vibrational frequencies of energy. Some locations on Terra are notable for their receptivity to cosmic energies and others for more terrestrial resonance. Lake Titicaca is one of the “cosmic antenna” of the planetary system and a powerful entry point for these frequencies, and ascension activations, into the planetary grid. At this time in the planetary evolution, energies from the galactic center, as well as high frequency activations from particular astrological and solar alignments, are potently felt in this part of Andes. One such ascension activation alignment was the reason for our journey to Lake Titicaca in May 2012. While particular locations — such as Amantani Island — receive relatively high visitation and are known for their temples, there are many locations scattered through the lake, above and below the surface, with crystalline energy formations of various sizes and energetic potency. All of these contribute to the energetic stability and resonance of the Lake Titicaca area, as if in a “web of high vibrational light.” Many of these were known and accessed in much earlier times and led to the civilizations that were established in the area, who cities and structures have been recently discovered beneath the lake waters. 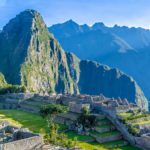 Valley of the Spirits & Amaru Muru: Stargate of the Incas? VIDEO: What is the Divine Feminine?